This desk is of our own design and is handmade: proud yet compact, crafted in similar manner to the Jackson Desk. 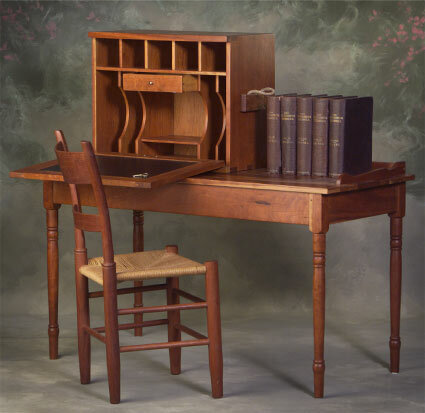 This personal sized desk features a hand dovetailed drawer and bonded leather fall front. The desk is 26” wide, 20” high and 12” deep. Table and chair not included.